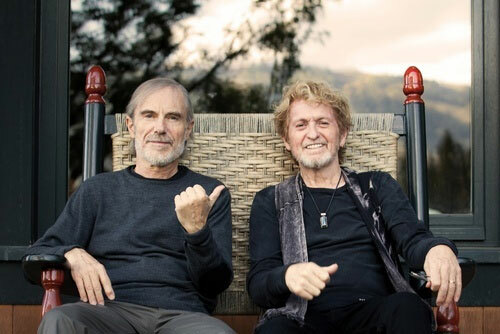 Jean-Luc Ponty and Jon Anderson have long and distinguished careers in music. 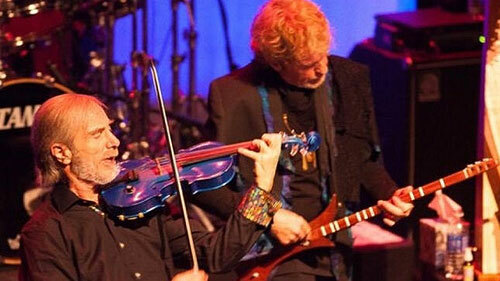 Anderson is known first and foremost as founder and longtime member of Yes, one of progressive rock’s most celebrated bands. And for many years – even before he parted ways with his longtime group – Anderson has worked outside of Yes on a number of solo and collaborative musical endeavors. His work with Vangelis Papathanassiou (the Chariots of Fire composer, and also a key member of late 60s Greek prog group Aphrodite’s Child) is Anderson’s most high-profile non-Yes work. Ponty’s career is even more varied: a virtuoso violinist born in Avranches, France, he was one of the first jazz artists to expand his career beyond that idiom. He’s played progressive rock, gypsy jazz (sometimes with his hero Stéphane Grappelli), fusion, world music and much more. 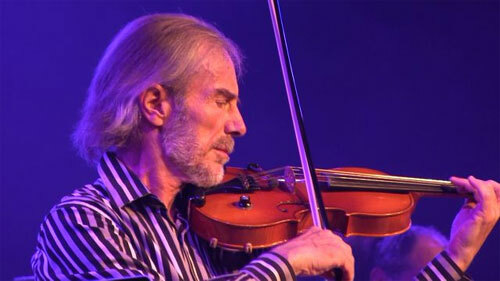 Ponty plugged in his violin and added his unique skills to Frank Zappa‘s music; he was an important part of Mahavishnu Orchestra. His credits are extensive and formidable, to say the least. But even though they met many years ago, Anderson and Ponty had never collaborated on a musical project. Until now, that is. The Anderson-Ponty Band formed last year and has just released Better Late Than Never, an album of new material and re-arranged readings of material from both men’s back catalog. That’s not always easy. “Sometimes it’s a challenge,” Ponty admits with a chuckle. “But with Jon Anderson, doing prog rock/pop, I have to be careful not to step in front of him! I listen to what he sings, and weave around that.” The result is a dialogue of sorts, a musical conversation between Anderson’s high and expressive voice, and Ponty’s equally expressive violin. The Anderson-Ponty Band launched a successful Kickstarter crowd funding initiative to create Better Late Than Never. As is often the case with projects of this scope, the resulting album – which includes a DVD and an audio CD – took longer than planned to reach its release date. Did that delay give the album its title? “No, no,” Ponty laughs. But he readily admits, “It could have been.” The title refers instead to the way in which the project began.